I married a gambling man. broad bandage across my chest. It’s the way you play it. the side by side of sleep. before she finally fell asleep. I will make anything if you would just eat. I had the privilege of hearing Beverly talk about poetry and illness in the UK at the 26th Aldeburgh poetry festival this November 2014. How inspiring to make such treasures out of life’s experiences good and bad. I was at that same reading! I bought her book on the strength of it. An inspiration. 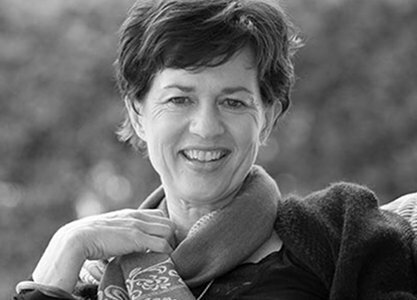 Beverly Rycroft’s debut poetry collection, Missing, recently won the Ingrid Jonker Award. In 2011 she was awarded second prize in the EU Sol Plaatje Poetry Competition for her poem Has your Dad got a Bird yet? In 2000 she was joint winner of the Femina/Sensa Features Competition. Beverly is a graduate of UCT and Wits. A qualified teacher, she has written for both local and international magazines. Her poems have appeared in Carapace, New Coin, scrutiny2, New Contrast and the anthology Difficult to Explain. She has performed readings of her work in Cape Town, Hermanus, The Franschoek Literary Festival, East London and Johannesburg, many of them with the poet Finuala Dowling. She is currently setting up the poetry section of the 2013 Franschoek Literary Festival with Dr Dowling. Beverly lives in Cape Town with her family.